Here is my first stocking almost finished. It is backed with white velvet and I added a row of pearls and crystals to the collar! I had some new gold pearls from Designs by Dawn which are already a firm favourite and so suitable for Christmas embellishment. 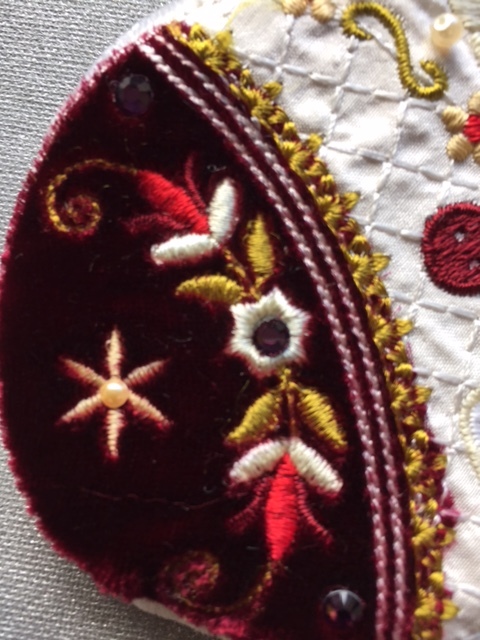 The toe was created in dark red velvet and I found this a challenge to embroider, but I slowed down my machine and did most of the embroidery twice, getting away without a topper. The little star was given a gold pearl and I popped a garnet crystal in the flower from Anastasia’s Spring. The next area was the foot which contains a detailed rose from the Victorian Promises collection. You may want to eliminate this and replace it with a silk embroidery rose. 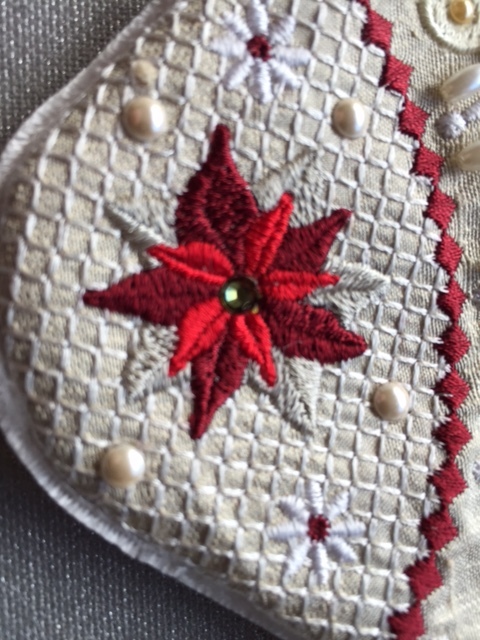 The heel is heavily quilted and contains a poinsettia from my new Christmas collection which has lots of scrolls. It is as yet unnamed! I added cream pearls to this area and placed a dark green yellow crystal in the centre of the poinsettia. The curved band above the heel can be heavily embellished and I added deep gold beads and silver bugles along it. I suspect that I will keep wanting to add more to this stocking and I cannot wait to create another one, learning from my mistakes. Be careful when you trim the stocking and line it. You will need to clip and notch the edges. Please don’t do what I did and trim too close to the edge. 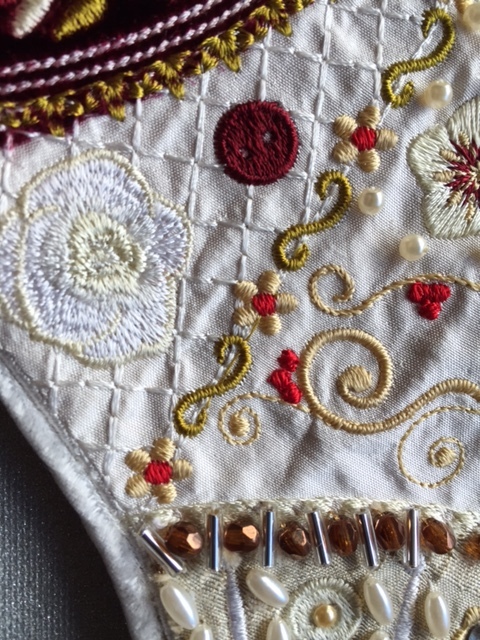 I hope you enjoy creating your Crazy quilt stocking for Christmas. Be prepared to take orders though! I already have requests in my family. 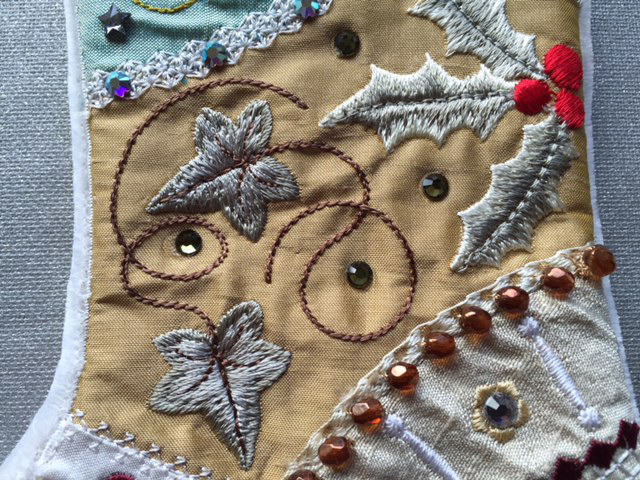 Please send me photos of any stockings you embroider and embellish. This stocking will be released on 15th November, 2014. 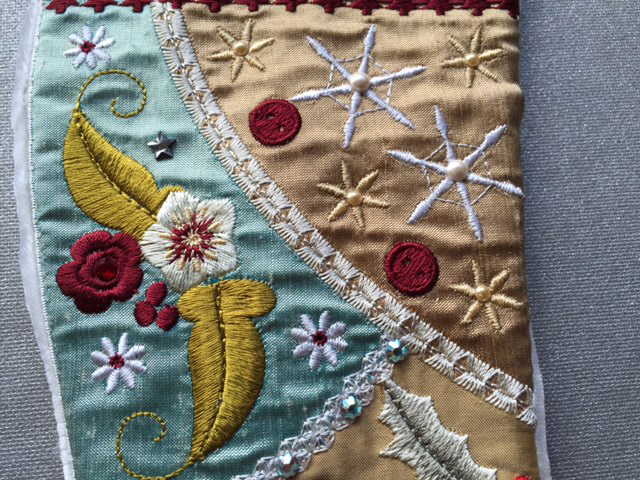 Watch out for my Christmas Crazy Quilt block which will be available very soon! 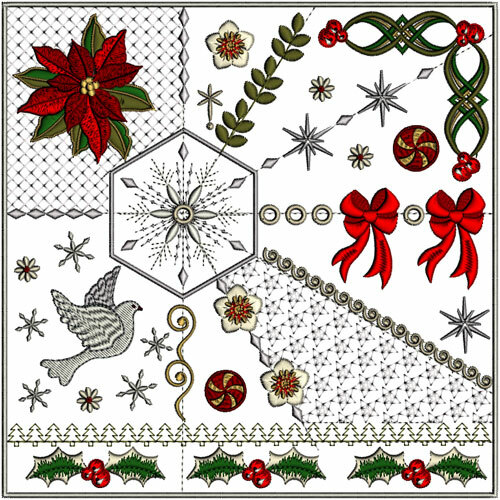 Happy embroidering and a Christmas to you all. This entry was posted in Embroidery projects and tagged machine embroidery. Bookmark the permalink. 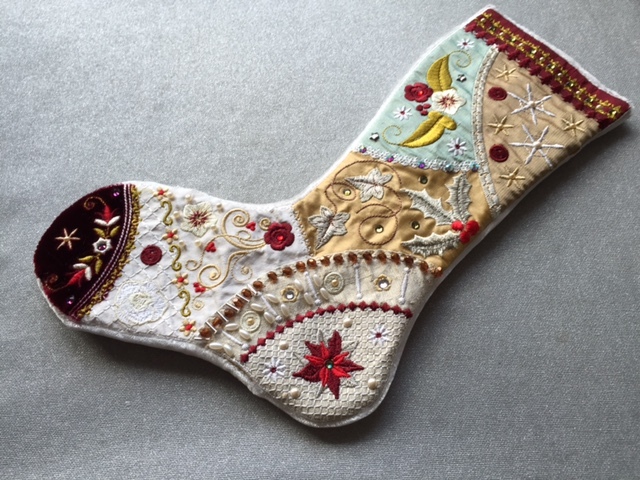 What a stunning Christmas Stocking! It’s so beautiful! 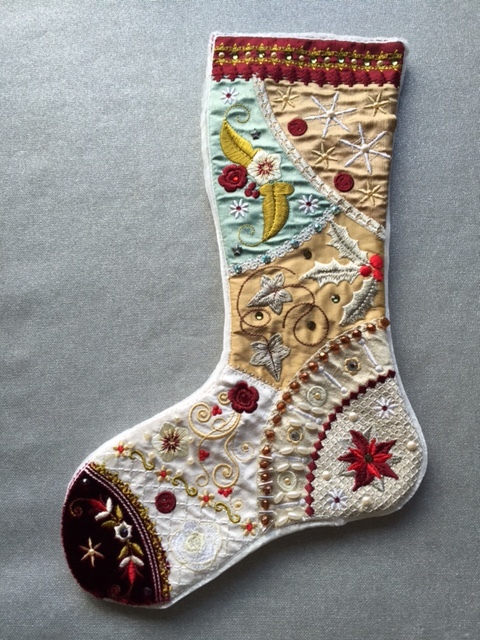 I look forward to seeing how others embroider and embellish their stockings. They will all be very different and reflect the colours and notions that the “customer” loves. Please send me photos.